Gems Sensors & Controls has been issued a patent (Patent Number 10156467) from the U.S. Patent & Trademark Office for its proprietary and innovative visual liquid level indicator, LED SureSite®. Liquid level indicators are often difficult to use in dark, tight, confined, or hard to reach locations and “provide far less utility when used in radiator cabinets, engine rooms, or open areas, such as oil storage tank fields, breweries, and dairy farms that use several tanks,” as stated in the patent description. The LED SureSite® provides a novel solution to this problem by combining a continuous output transmitter with a bright LED channel. This allows for a 270-degree viewing range and visibility not only in low light and dirty environments but also visibility in direct sunlight. 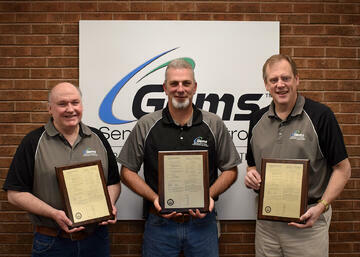 The inventor of the LED SureSite® is Gems Sensors Design Engineer, David Curry, and co-inventors are Doug Stetson, Gems Sensors Engineer and Jim Dockendorff, Gems Sensors Chief Engineer. 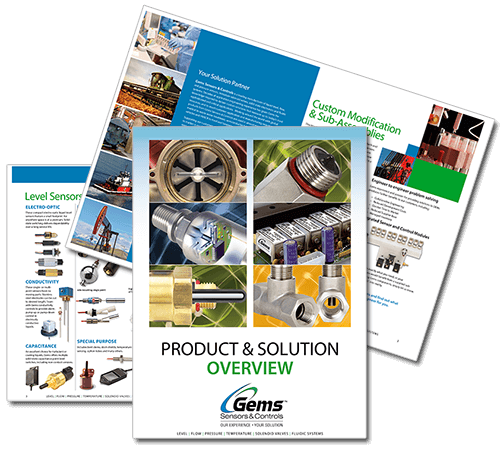 Click here to download a free, informative product guide to learn more.